Enjouji and Ranmaru are a mostly-happy couple, but when Ranmaru finds lipstick on Enjouji, he becomes suspicious and leaves in a huff. Enjouji follows Ranmaru throughout the day. As they do so, the two men think about their past and their uncertain future. 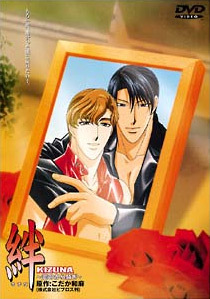 Watch Kizuna: Koi no kara Sawagi Episodes Online at Animegg.org. Kizuna: Koi no kara Sawagi is available in High Definition only through Animegg.org. Choose an episode below and start watching Kizuna: Koi no kara Sawagi in Subbed & Dubbed HD now.